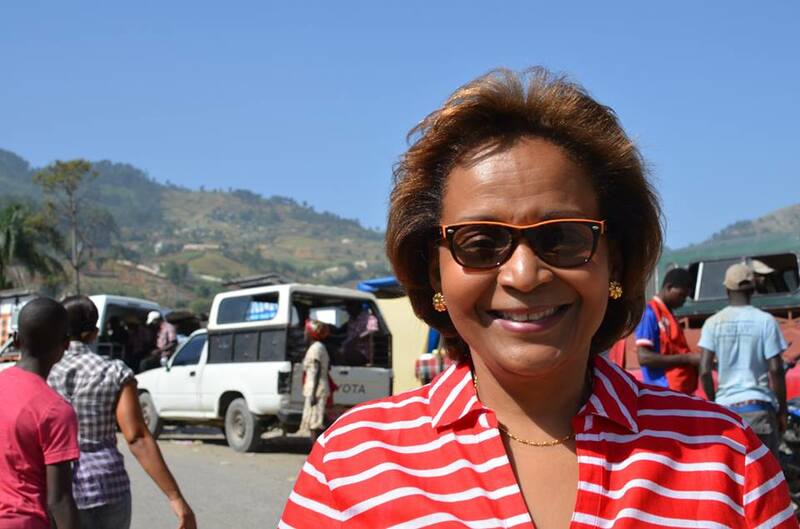 Please join us in welcoming Dr. Maryse Narcisse, spokeswoman and presidential candidate of Fanmi Lavalas, the party of Haiti’s first democratically elected president Jean-Bertrand Aristide. As a medical doctor, Dr. Narcisse led the Aristide Foundation’s medical response after the 2010 earthquake and Hurricane Matthew. This is her first visit to the Bay Area. Over the past two years, Haiti’s popular movement has fought a relentless campaign for free and fair elections. Tens of thousands of Haitians demonstrated for months in support of Dr. Narcisse’s candidacy. They fought to overturn the results of fraudulent elections that gave the presidency to a U.S. backed right wing candidate. A long-time Lavalas militant, Dr. Narcisse has been in the streets with the people day after day throughout the campaign, as they faced police bullets, tear gas, water hoses and clubs.